Content and engagement go hand in hand. If one is poor the other will suffer, likewise if one is prospering it benefits both. 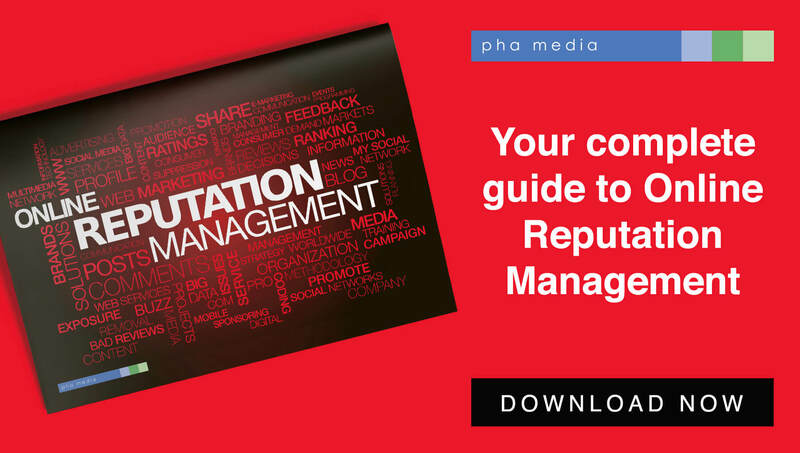 Although continually creating content can seem a real challenge, it remains the gateway to growing a successful audience. Engaging content should offer something new to the reader, whether that’s a new perspective, an unexpected chuckle or an educational piece. Since the social media revolution, studies have shown the average consumer attention span has dropped from 12 seconds to just eight since 2000. 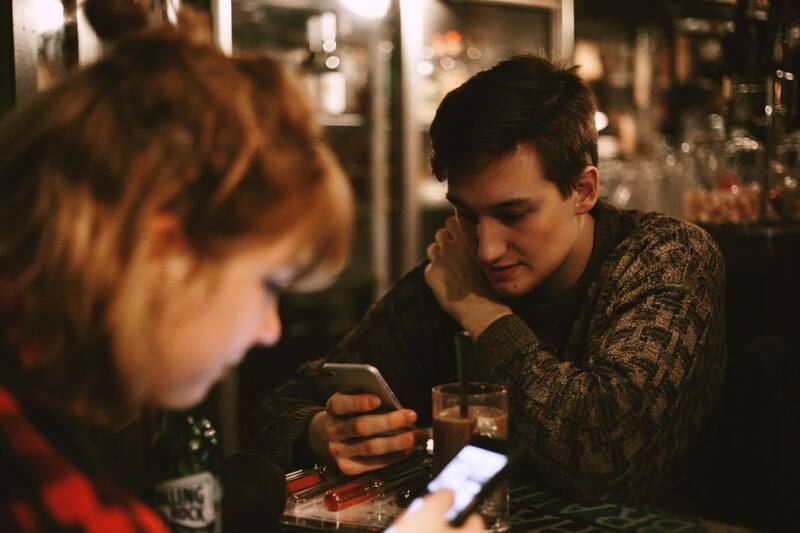 That isn’t to say that social media is principally to blame, but the introduction of smartphones and hyperlinks alongside social media has led people finding it harder to concentrate. So, if keeping consumers engaged is the aim of the game, how do you go about doing it? Put the reader’s interest first – The audience you are targeting determines what you write about and choosing a relevant subject matter. Trigger emotion – If you trigger an emotion in someone through your content, they are much more likely to remember you or share it with friends. Ask the audience – Don’t be afraid to ask your audience, to help guide you with the direction of your content. Move with the times – Content needs to be in real time, there’s no point creating content for something which happened a month beforehand. People would have forgotten about it. The biggest Twitter phenomena of the year. A simple request for free chicken nuggets for the rest of the year resulted in a mass movement. Major companies such as Apple and Google all participated in the Twitter challenge. Perfect timing from Wendy’s as some light-hearted news was desperately needed, after the terrible footage of the United Airlines incident was only released a week before. From Wendy’s perspective, the stunt gained them an extra 149,000 followers and 330 million social impressions. 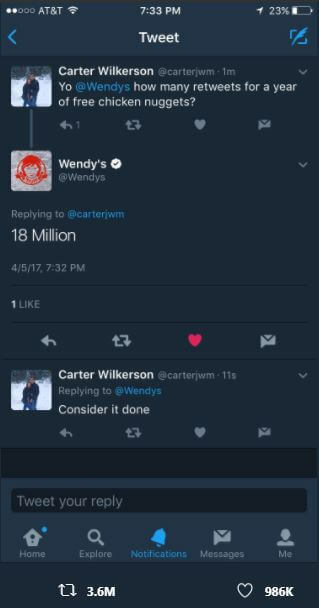 Carter didn’t get near the 18m retweets Wendy’s had asked for, but as it was a Twitter record they accepted that he had completed his challenge. They also used the opportunity to donate $100,000 to a charity. 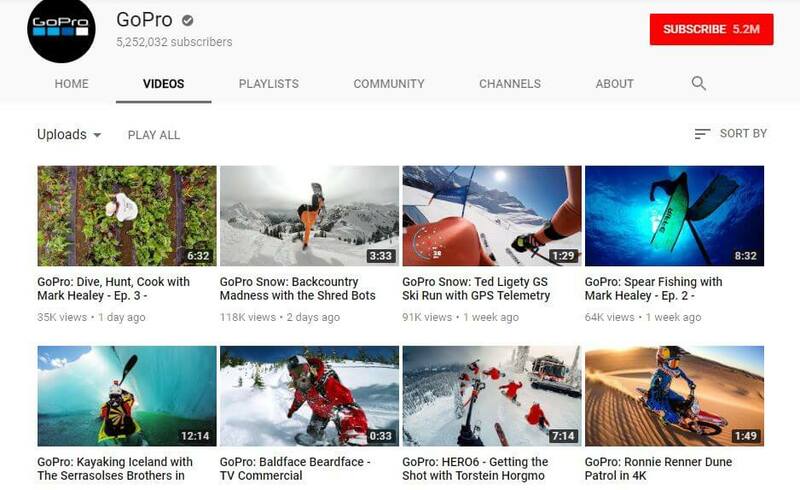 GoPro joined YouTube and created its own channel back in 2009, it has quickly transformed itself as one of the most successful brands on the platform. YouTube is known for being notoriously hard for business to make it a successful marketing stage, yet GoPro has had it cracked for years. With 5.2m subscribers clearly, something is working well. Promotion of brilliant user content on its channel – Previously only allowed professional extreme sports footage on its channel but now includes content from all around the world. By offering fans of the product a moment in the spotlight it helps to build a community around the channel. Actively engage in conversation – GoPro really does care about their community, they regularly engage with subscribers by responding to comments, liking content and answering any questions subscribers might have. Almost giving off that ‘everyone’s equal here’ vibe. Everyone’s needs are met – It would be easy for GoPro to be very selective about what videos they allowed upon its channel, but they want to grow their community, so the range of videos is immense. The channel holds videos from skydiving to swimming with sharks. The only rule? You must use a GoPro to join the club. With engagement rates so dependent on the content that is produced, it is essential that it is constantly targeting the right people. Now more than ever, brands need to know exactly who their audience is. What makes them tick, when they want to hear from you, and above all what you have to say is interesting.